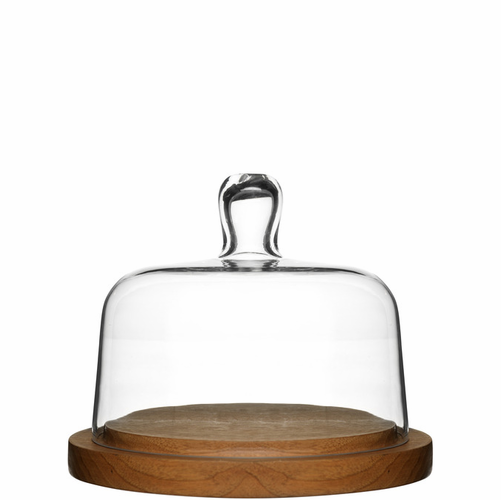 The Sagaform Oval Oak Cheese Dome by Swedish designer Helene Tiedemann is part of the Oval Oak collection by Sagaform. 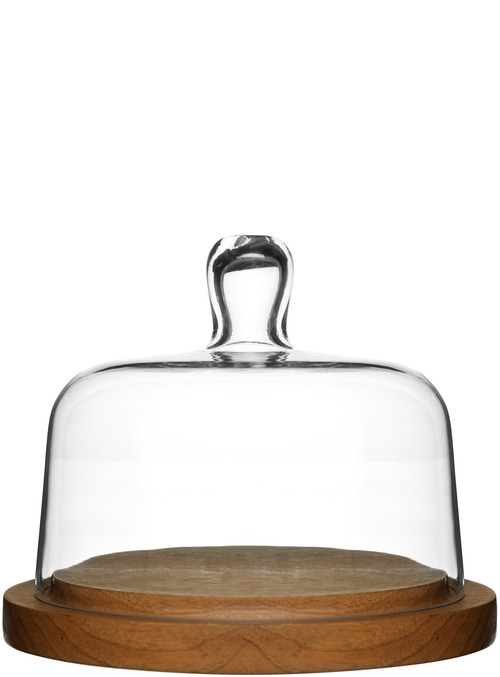 Sagaform Oval Oak is beautiful and practical Scandinavian design for your kitchen. The collection is made of oak, glass and stainless steel and each piece looks gorgeous on its own or as part of the larger Sagaform Oval Oak series. Each piece fits perfectly in the hand, making kitchen work that much easier. Helene Tiedemann's pieces in the Oval Oak collection include a two piece wooden trivet, a cheese dome with an oak base and mouth-blown glass cover, an oak and stainless steel cheese grater, a cheese slicer, and a lazy susan, either alone or as part of a set that includes a cheese slicer and cheese knife. The Sagaform Oval Series includes kitchenware by Swedish design duo Moritz, and Swedish designers Helene Tiedemann, Lovisa Wattman, Jon Eliason, design team Transformer, and Jonas Rylander.